By 1778 the American Revolutionary War had stalemated, with the French joining the war to aid the Americans. With the northern campaign at an impasse, the British had decided on a southern strategy of focusing their efforts on the colonies of Georgia, South Carolina, North Carolina and Virginia. The British perceived the South to have a majority of Loyalists. They occupied Savannah, Georgia in late-1778 and Charleston, South Carolina in mid-1779. The goal was to join forces with the Loyalists and move through North Carolina and Virginia to create a southern front that would put pressure on the North. 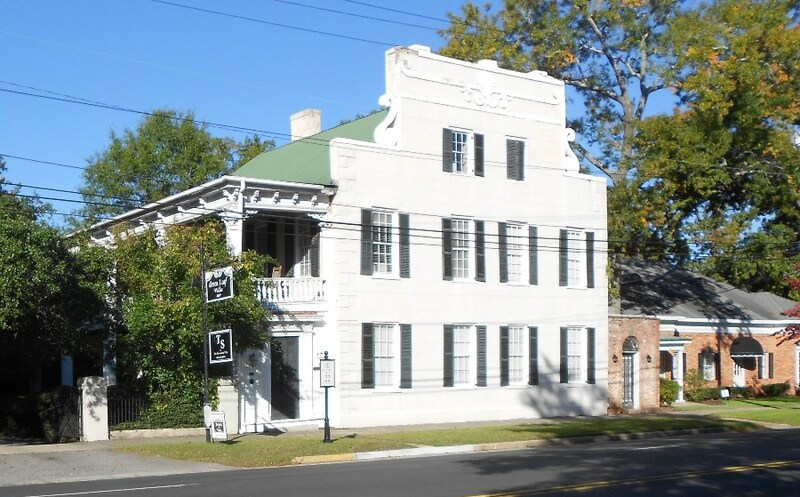 Once the British secured Charleston on the coast, they campaigned in the Upstate of South Carolina and secured key locations of Augusta, Ninety-Six (see Spring 2013 issue), Camden, Cheraw, and Georgetown. 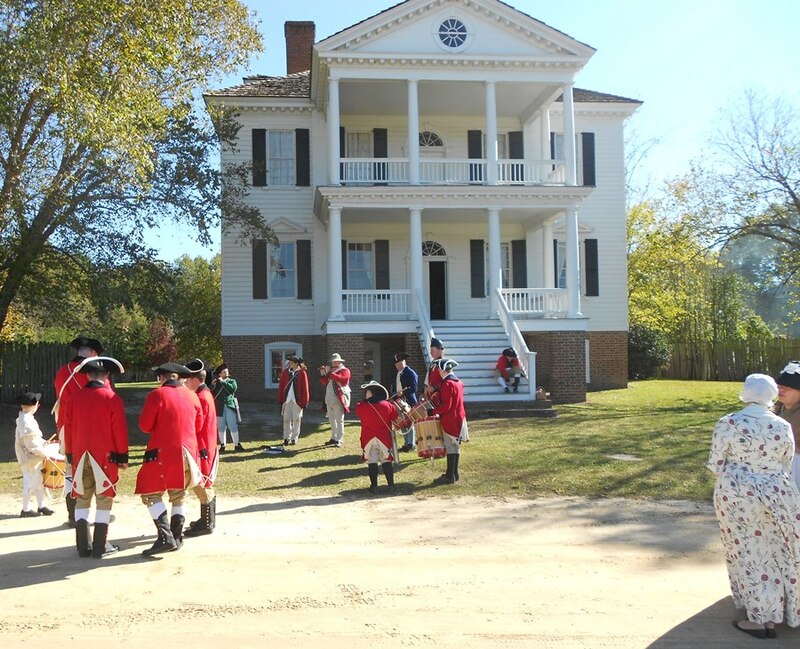 Camden was significant as it was the state’s major inland city and was at the junction of major wagon roads that led to Charleston and Savanah. In May, 1780, after the British defeated the southern Continental Army at the Battle of Waxhaws (near Lancaster, South Carolina), British General Clinton left Charleston and returned to New York, leaving Lord Cornwallis to secure the rest of South Carolina and eventually the rest of the South. There was still Patriot resistance in the state, notably militia under General Thomas Sumter (the “Carolina Gamecock”) and General Francis Marion (the “Swamp Fox”). In addition, General Washington sent Continental Army troops from Maryland and Delaware south under the command of General Johann de Kalb. In July, 1780 General Horatio Gates, the “Hero of Sarasota,” arrived in North Carolina to take command of those Continental troops and decided to move south to take Camden. Virginia and North Carolina militias joined “Gate’s Grand Army.” The plan was to build a defensive works north of town and force the British to abandon the town, without a major battle. General Cornwallis got wind of Gate’s plan and moved additional troops into Camden, bringing the number of British troops to just over 2,200, while General Gates was moving south with about 4,000 Patriot troops (more like 3,000 troops, if the ill were not counted). General Cornwallis decided to confront the Patriot troops and moved north from Camden. 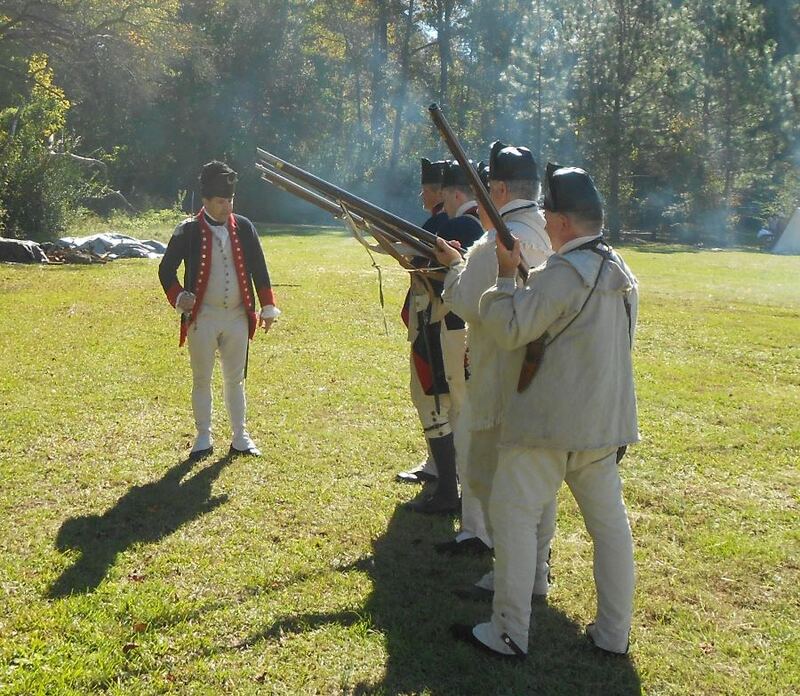 The two armies met expectantly a few miles north of Camden at 2:00 a.m. on August 16, 1780. 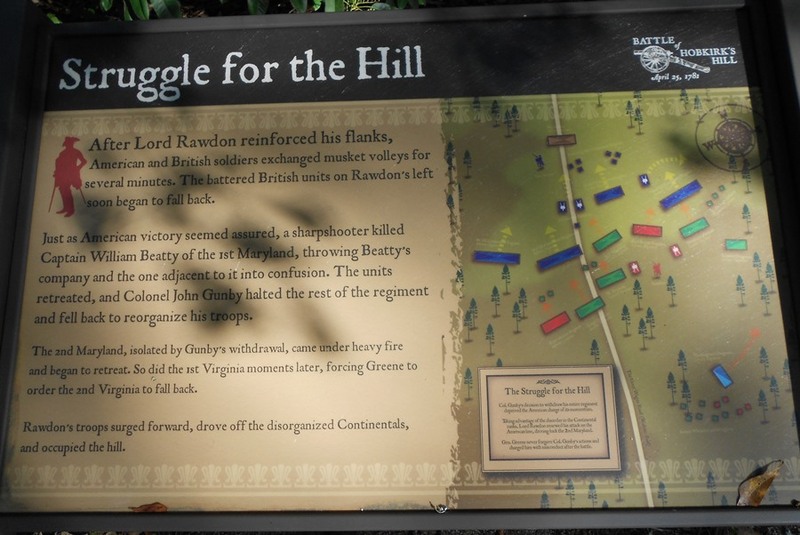 Both sides wanted to avoid a night battle, so the Battle of Camden would take place at dawn. The battle began with an artillery duel at dawn. 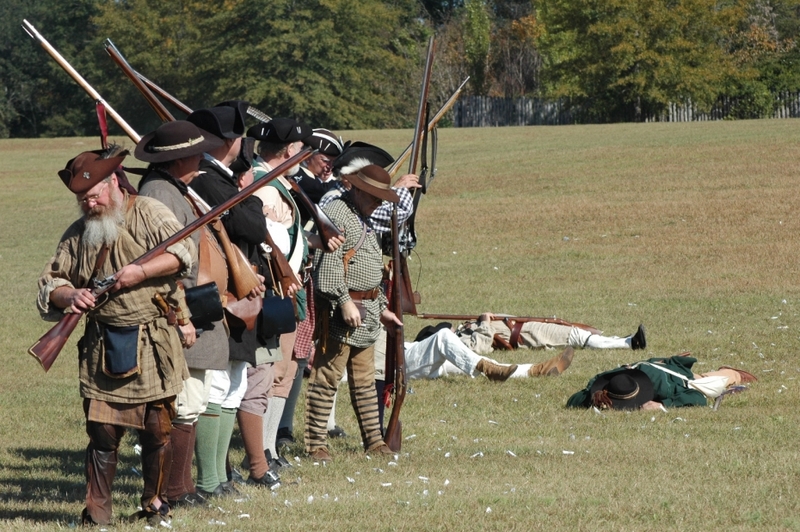 The American left-flank was the poorly trained and equipped Virginia and North Carolina militias, facing the battle-hardened British troops (with bayonets that the Americans had never used). The left-flank collapsed, panicked, and fled. The right-flank regrouped and a battle that lasted a little more than an hour would be the American’s field defeat of the war. Gates left the field disgraced and would not command again. De Kalb received three gunshot wounds, was repeatedly bayonetted, and died three days later. He is buried in Camden. The dead are still on the battlefield in unmarked graves. Many of the captured Patriots ended up in prison ships in Charleston Harbor. Buoyed by the success, the British proceeded to finish the job of securing South Carolina. It turned out to be much more difficult than they had planned. Battles at Cowpens and Kings Mountain in late 1780 and early 1781 (see the summer 2014 issue) were strategic British defeats that helped seal the fate of the southern strategy that would end at Yorktown. 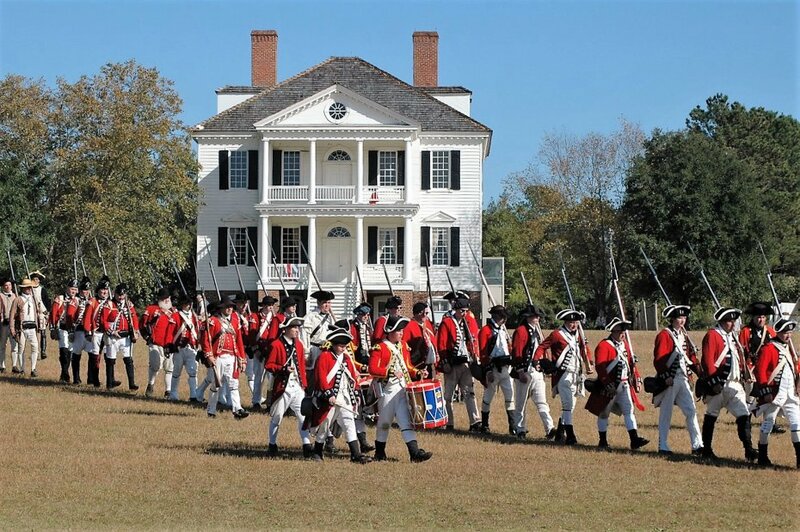 Camden celebrates its Revolutionary War history (see summer 2018 issue). In what is now part of the city, a second Revolutionary War battle took place in 1781, the Battle of Hobkirk’s Hill. The locations are marked with interpretive signage around the hill. Parts of the city have a very colonial look, with many buildings looking like they came out of Charleston. 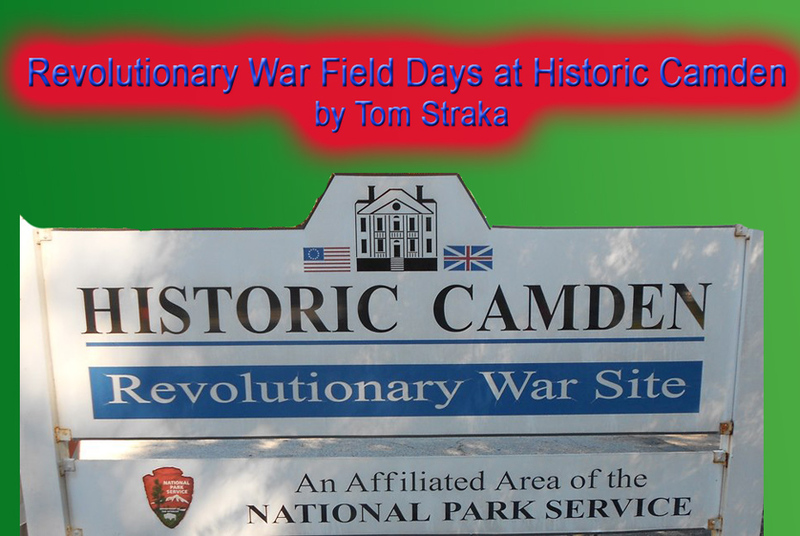 But that is another travel story; this one is about the Revolutionary War Field Days held in Historical Camden. 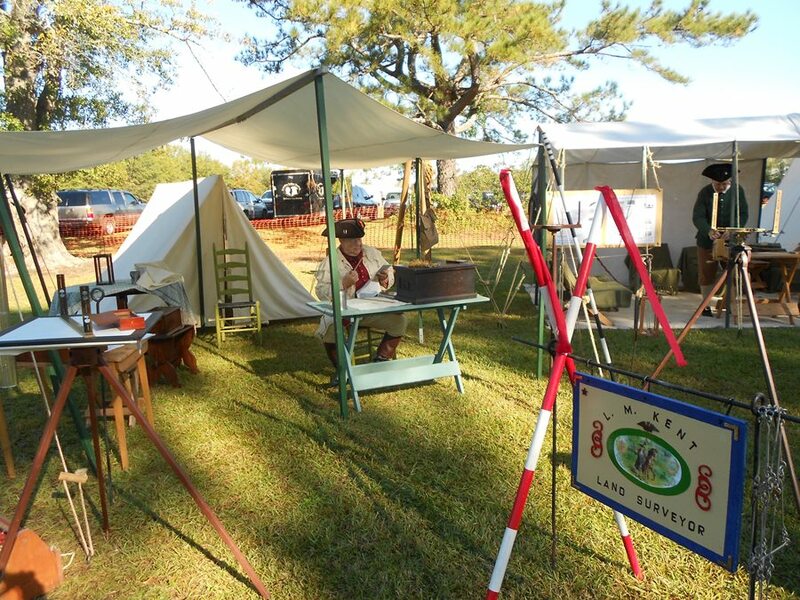 It is an annual reenactment held the first weekend in November (this year on November 2-3, 2019). 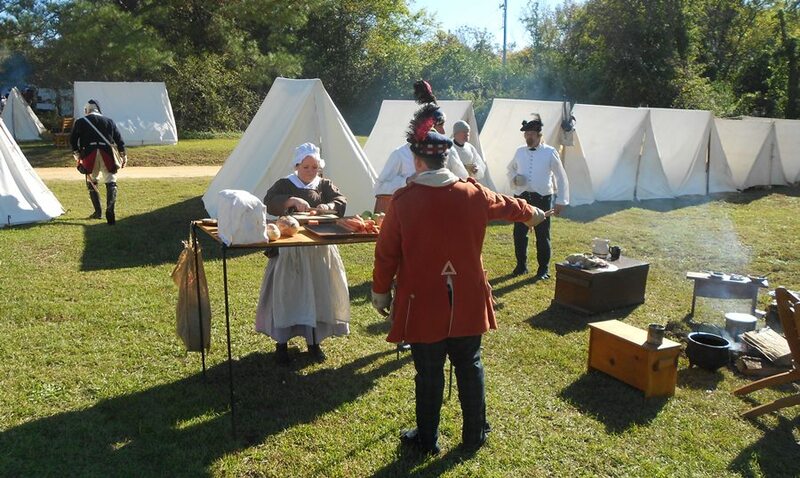 While the actual battlefield is preserved north of the city (free admission), the reenactment is held at historic Camden south of the city at Historic Camden (does charge admission). Camden, the city, deserves its own article. Anyone going to the Revolutionary War Days ought to at least drive a mile north and see how beautiful it is. Some of it looks a little like Charleston. Before moving on to the field days, a few photographs of downtown Camden will tempt any visitor to last least do a quick visit of the city. 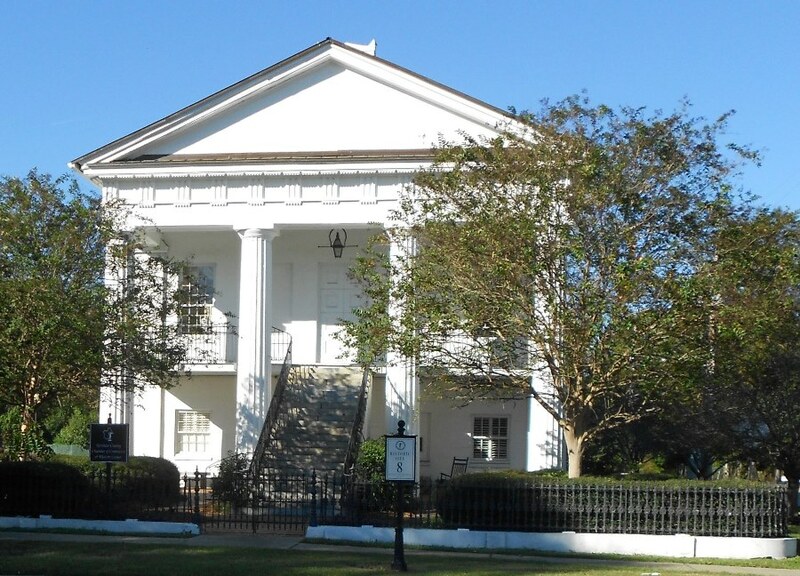 The Historic Robert Mills Courthouse, completed in 1827. The Battle of Camden took place in 1780; in 1781 a second battle, the Battle of Hobkirk’s Hill, took place in what is now the City of Camden. A set of signs marks key locations. Key locations and interesting historical buildings are scattered around the city. Many sights remind one of Charleston; this sure seems like a classic Charleston Single House. The battle takes place at 1:30 p.m., but it pays to come early. 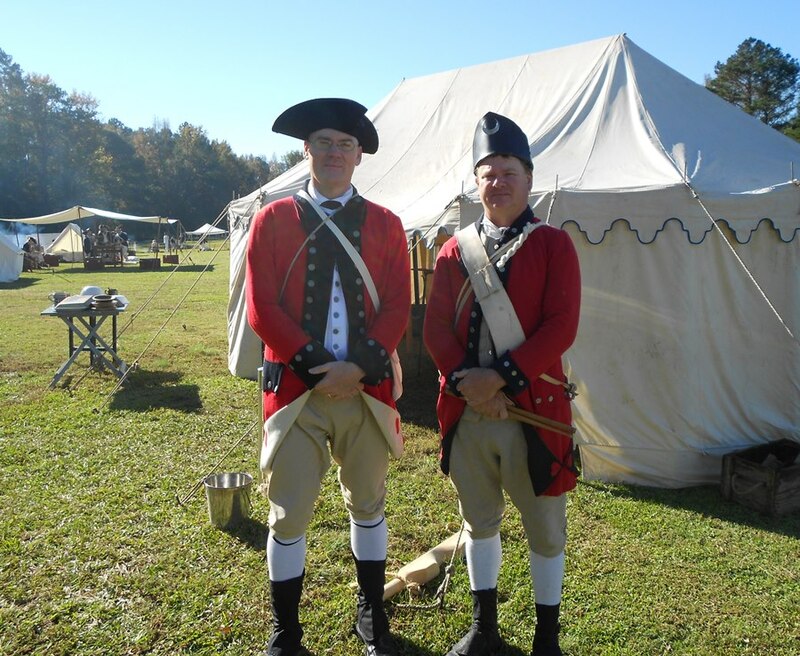 The troops are already there when the site opens at 10:00, and they are true reenactors in uniform and preparing for battle. There is an American Camp and a British Camp. 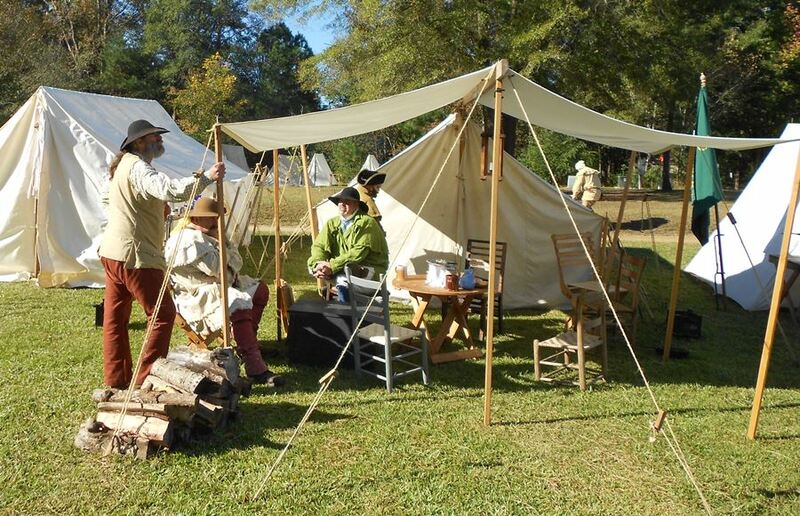 A powder magazine, blacksmith shop, demonstrations, crafts, a merchant’s row, a museum inside the Kershaw-Cornwallis House, food in McCaa’s Tavern, cannons, a field hospital (British Camp), and Cavalry horses (American Camp). There are scheduled talks at McCaa’s Tavern. On schedule are a church service, Patriot games, cricket match, flint knapping, kid’s enlistment, artillery demonstration (American Camp), court martial (British Camp), Fife and Drum Corps demonstration, and English Country Dancers. The event included many craftsmen and tradesmen including a land surveyor more than willing to explain his trade and equipment. These don’t look like Americans but they are. They play the drum and fief and wear red so the General can locate them quickly, so that he can give marching orders via the drum and fief. Camp followers: they received a small stipend for services rendered. A group of Over the Mountain Boys – Americans who came from west of the Appalachians to fight. 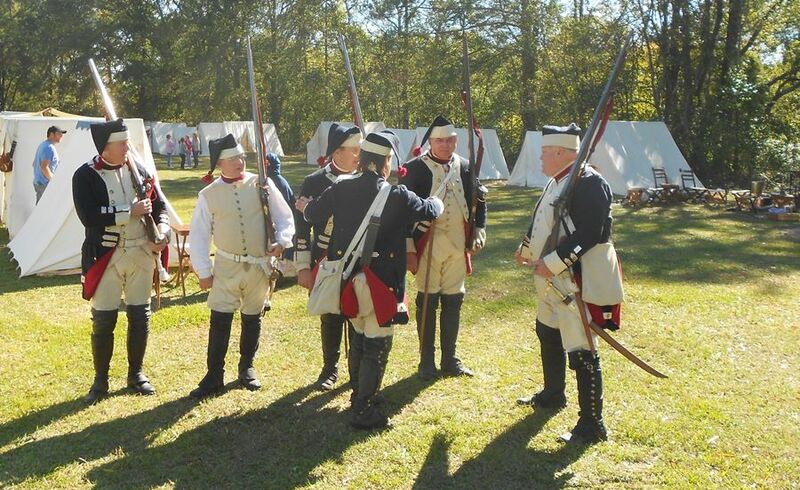 Loyalists at drill prior to the battle. 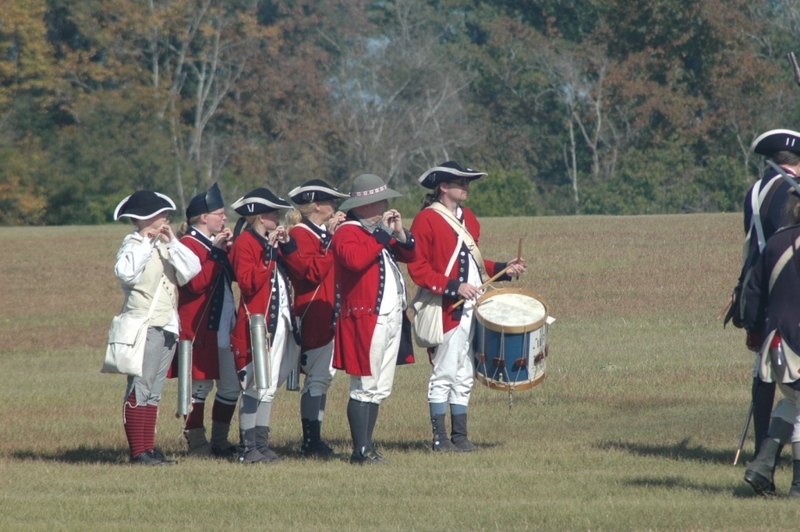 Americans drill before the battle. British drill before the battle. they are not wearing their distinctive headgear. 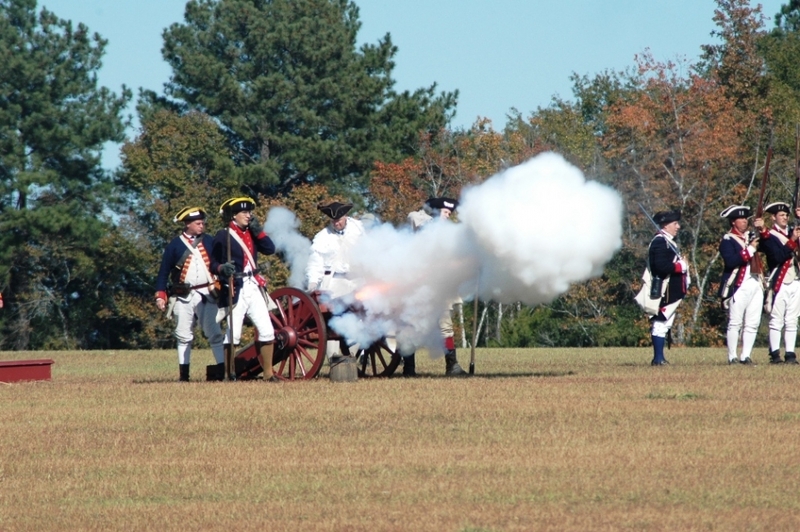 Since this is a reenactment, the battle takes place as historically-described above, with one obvious exception, that the artillery duel that starts the battle does not take place at dawn, but at 1:30. To me, the most impressive part of the battle was the beginning, but not the artillery duel. The troops marched on to the battlefield from unseen locations, with drums and accompanying noise echoing across the soon-to-be battlefield. You have to hear it to understand how intimidating British troops marching on to a battlefield can be. Officers on large horses direct the battle. There are lots of noise, cannon smoke, and back-and-forths between the troops. Some troops “die” on the field. Just like 1780, the Americans are driven from the battlefield. American cannoneers during the battle. Photo credit: Johnny Deal. 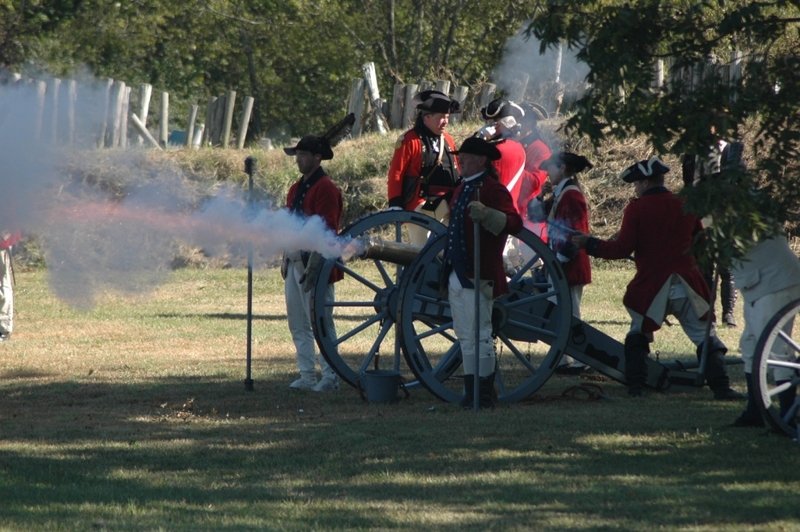 British cannoneers during the battle. Photo Credit: Johnny Deal. British troops march on to the field. Photo credit: Johnny Deal. Over the Mountain Boys in Battle, some “dead.” Photo Credit: Johnny Deal. The drums and fiefs are crucial to the battle. Photo credit: Johnny Deal. Author: Thomas J. Straka is a forestry professor at Clemson University in South Carolina with a fascination for history.